Gracie Barra Westchase was founded in 2010 by Professor Ulpiano Malachias, 3rd IBJJF black belt, recognized professor and long time competitor. Gracie Barra Westchase is a part of the Gracie Barra Brazilian Jiu Jitsu Team, which includes more than 600 schools on six continents, making it the largest Brazilian Jiu Jitsu team on the planet. As a member of Gracie Barra Westchase, students have the benefit to train at any Gracie Barra Official Location around the world! 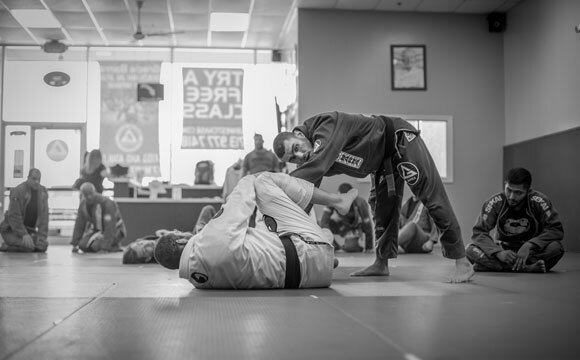 Gracie Barra Westchase was one of the very first franchised locations in the U.S, and it is one of the top GB locations in the United States, home to 450+ members of all ages and skill levels. Open 7 days a week, we offer over 90 group classes per week taught by numerous instructors who are also decorated competitors in their sports. Our programs and classes provide ever-evolving teaching and support to our members to help develop students so they may efficently reach their personal goals, whatever they may be – competition, training as a hobby, improving athleticism and health – all while learning martial art discipline. When Gracie Barra Westchase first opened in Houston, we solely offered classes in Brazilian Jiu Jitsu; but we have expanded numerous times and now offer weekly classes for Brazilian Jiu Jitsu, Cardio Kickboxing, Muay Thai, and Wrestling of all ages and skill level. Every Brazilian Jiu Jitsu class at GBW is conducted by one or more IBJJF certified black belt instructors, who are continually educated in the most effective teaching and competition techniques for the sport. In mid-2016 we moved and doubled the size of our facility to a 10,000 square foot, state of the art location, where we will take our passion for martial arts to the next level. Our expansion has allowed us to offer more classes, equipment, and training resources for our student base as well as full men’s and women’s locker rooms for our students convenience. Welcome to Gracie Barra Westchase, located in Houston, TX. At our school, we believe in changing lives through Brazilian Jiu-Jitsu.Our school has just about every feauture you could ask for in a Brazilian Jiu Jitsu School. We offer a wide range of programs, private training, and many other benefits and features. Whether you plan to loose weight, tone up, or train for competition, our school offers a wide range of plans to suit all budgets.